H009. A blue/grey garrison cap with an embroidered Air Training Corps cap badge, the label inside reads ADI VIC 1992 Stocknumber Service No & Name Marks. H009. 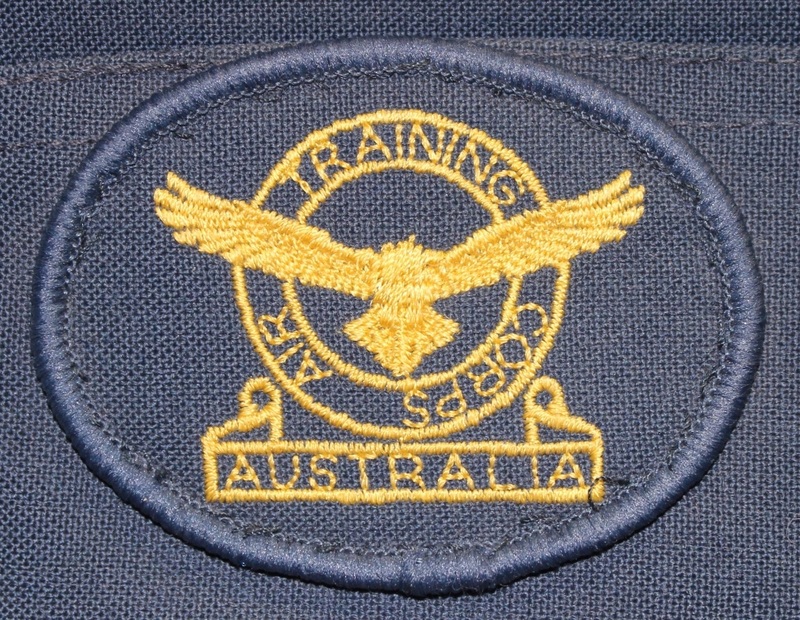 An embroidered Air Training Corps cadet badge. H009. 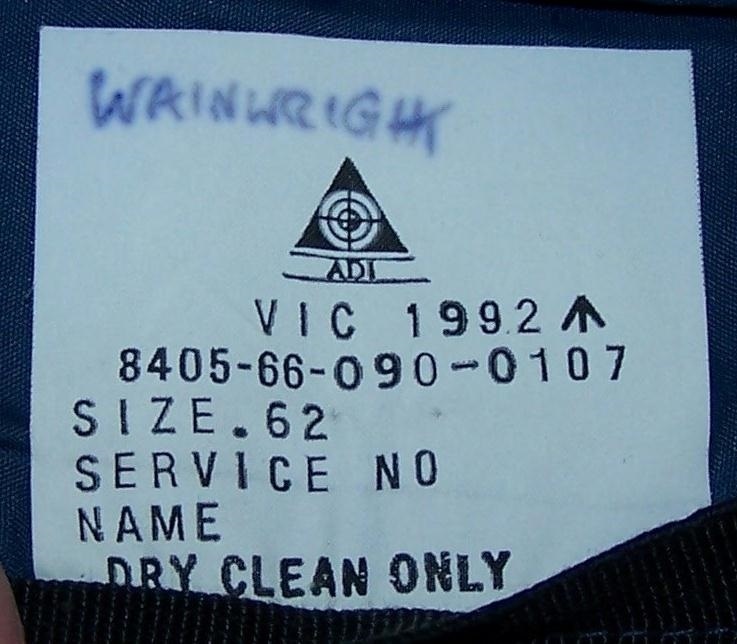 Makers label for the Australian Defence Industries dated 1992 and owners name. H024. A blue/grey all seasons garrison cap with an officer’s badge, the label inside reads ADI VIC 1992 Stocknumber Size 58 Service Number Name FLTLT Young. H024. 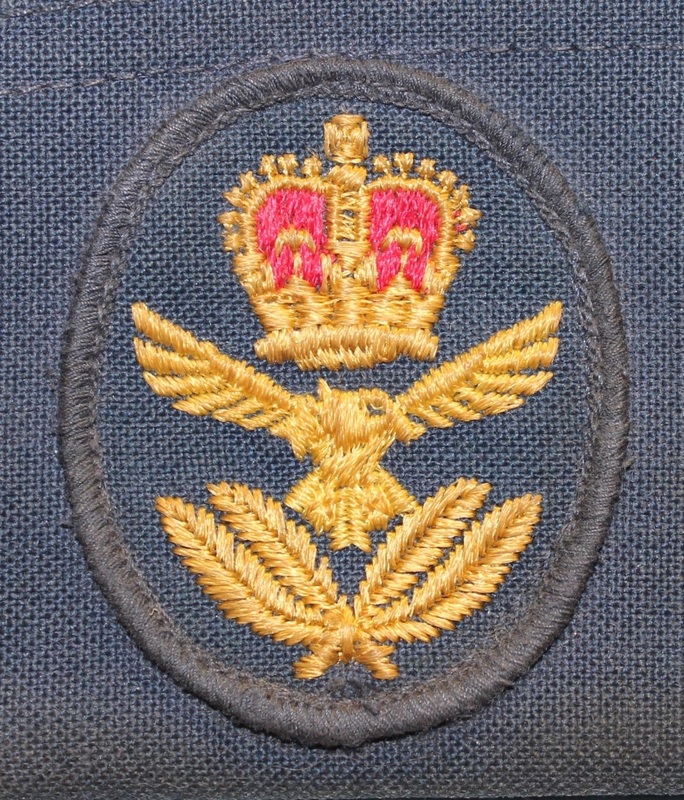 An embroidered officers cap badge. H024. 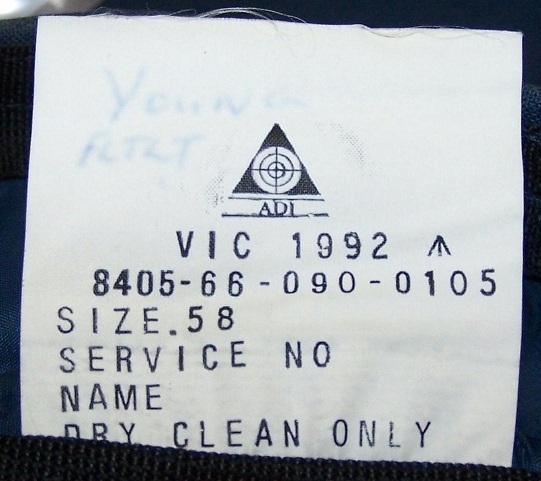 Makers label for the Australian Defence Industries dated1992 and owners name. H025. A blue/grey all seasons garrison cap with an officer’s badge, the label inside reads ADI VIC 1992 broad arrow Stocknumber Size 62 Service No & Name Wainwright. H025. 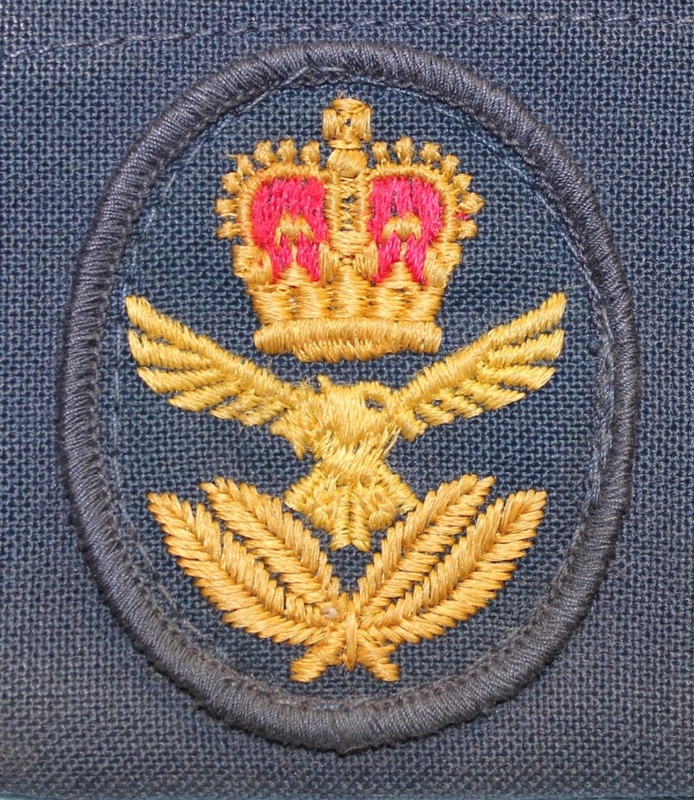 An embroidered officers cap badge. H025. 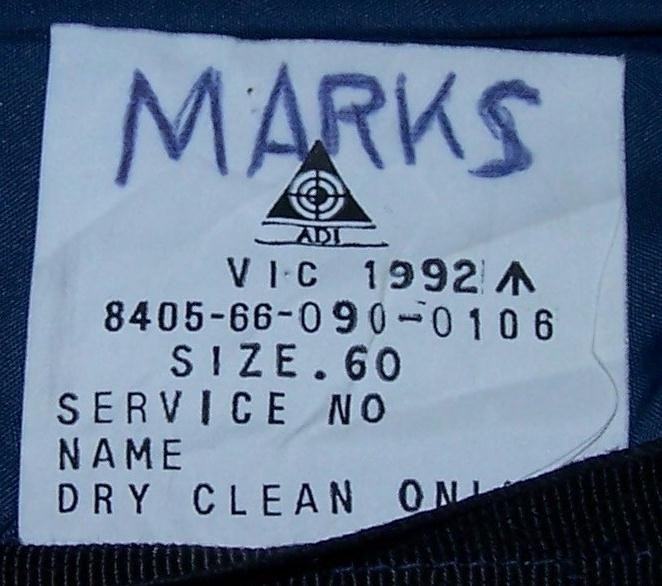 Makers label for the Australian Defence Industries dated1992 and owners name.